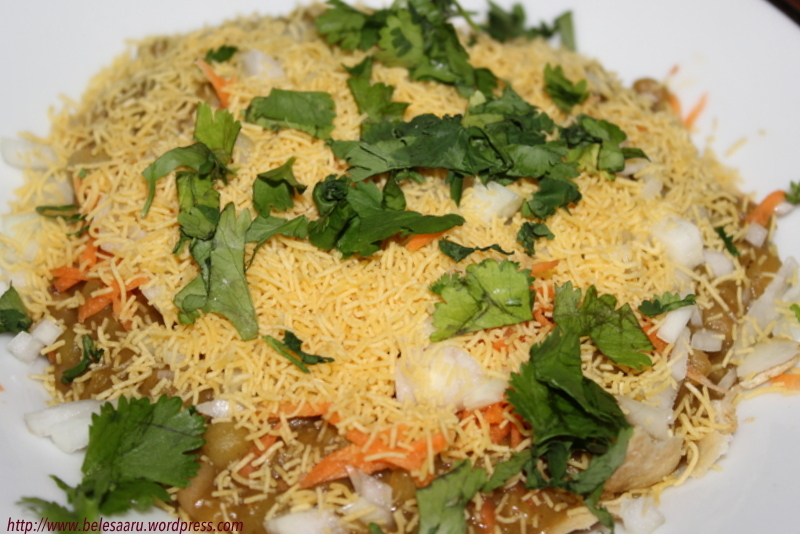 Another yummy, appetizing chaat from Indian streets… One of the vivid memory I have of eating chaats in India is this one! I have a very good friend who is living in Chennai, India. She loves street chaats and knew every street vendor in our neighborhood. Besides her boyfriend, I was her best companion for eating these, as I enjoyed having them too! 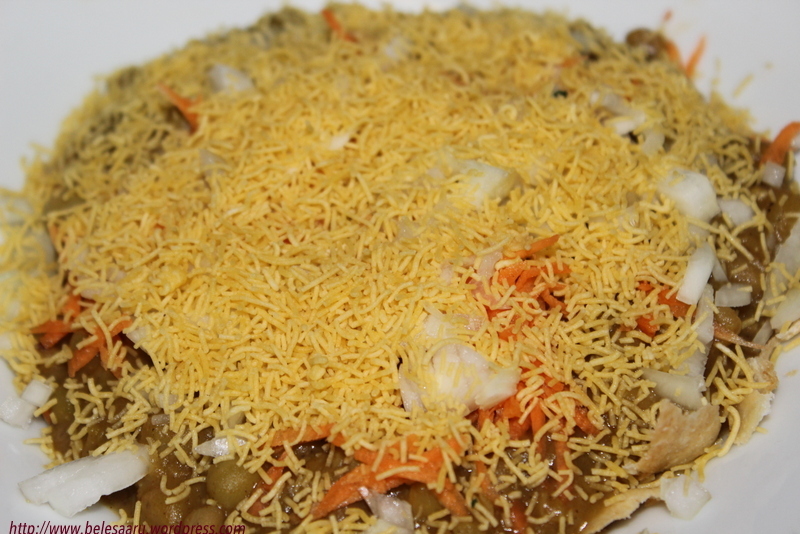 Rain or shine, we had these chaats every week and relished it to the fullest. This is one among the few that I miss here. Though, I find many chat corners… none of them taste like the one we get in India. So I thought I would make it myself.. After researching and trying different masala puri recipe versions, I fell in love with this particular recipe. I felt this recipe is the best of all that I have tried and have been making at home every single time I think of eating “one plate of masala puri” :). Dry roast all the spices until light golden brown, then add coconut and fry for a minute and keep it aside. 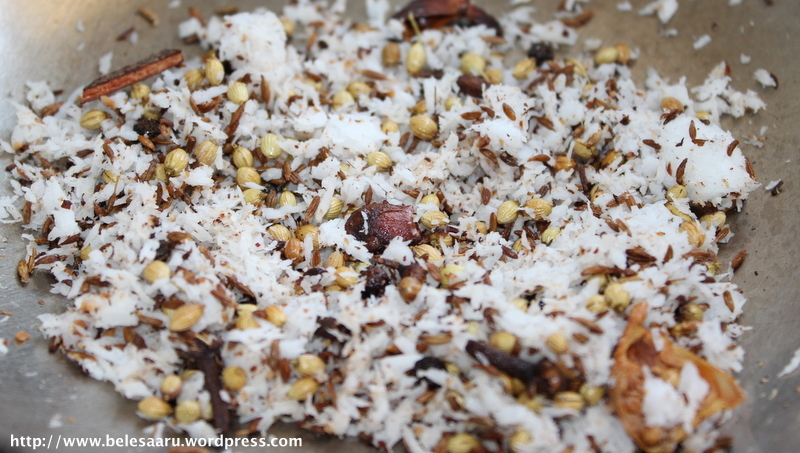 Grind the spices with coconut, red chill powder and 1/4 cup of water to a smooth paste. Add the toor dal and grind again for a minute. Take the ground paste in a heatproof pan and add half cup of water to liquefy it. Add salt, sugar and cook for a 5-6 minutes. 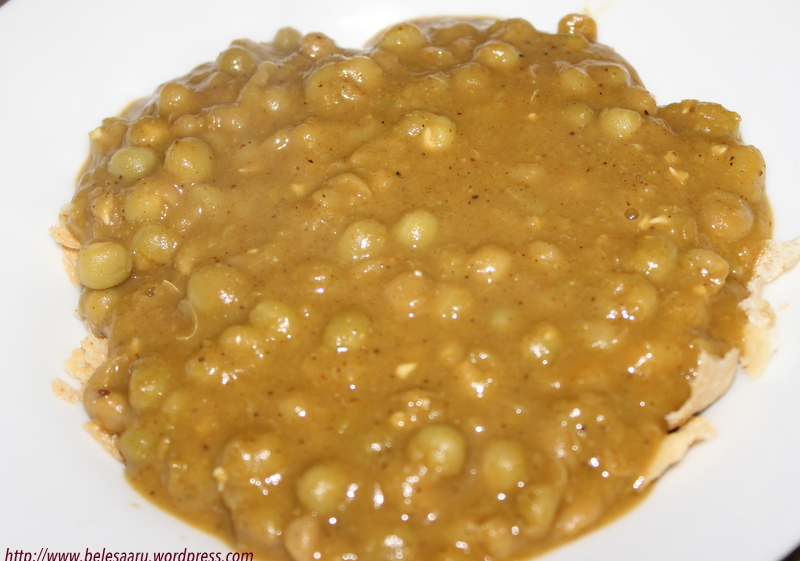 Add the cooked peas and allow the mixture to blend well. Add more salt if needed. The gravy should not be too thick or too thin. Crush 4-5 puris on the serving plate. Spread about 1-2 ladle full of gravy. Top it up with some grated carrot. 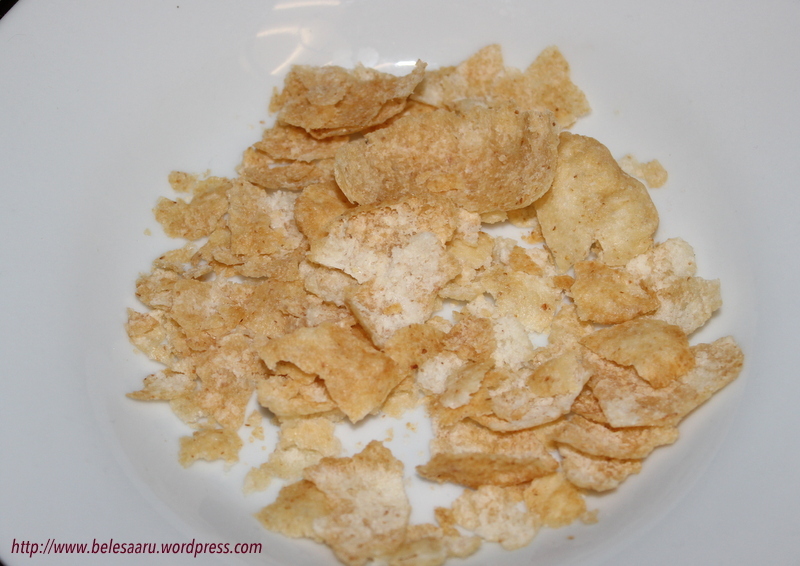 and a layer of sev. 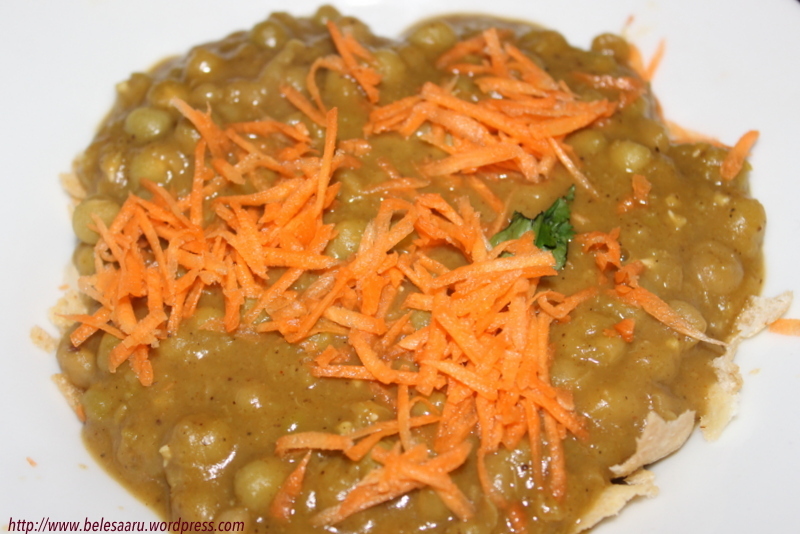 Delicious and lovely looking masala puri. Excellent preparation. Thanks Deepa, I tried your bengali sweet today, I did not find date jaggery in the Indian stores so prepared it with regular jaggery and tasted wonderful! Thank you! You have a great site.. Such a beautiful, flavorful dish! What a wonderful array of spices you used in this recipe and the plating is just so very pretty and appetizing – fabulous pictures and wonderful recipe and great story behind this dish as well! Always such a pleasure coming here! Your post brings back a thousand memories for me. I’ve literally lived on Indian street food at one time. Such amazing flavours and textures. Thanks for sharing such a great recipe. It looks wonderful! 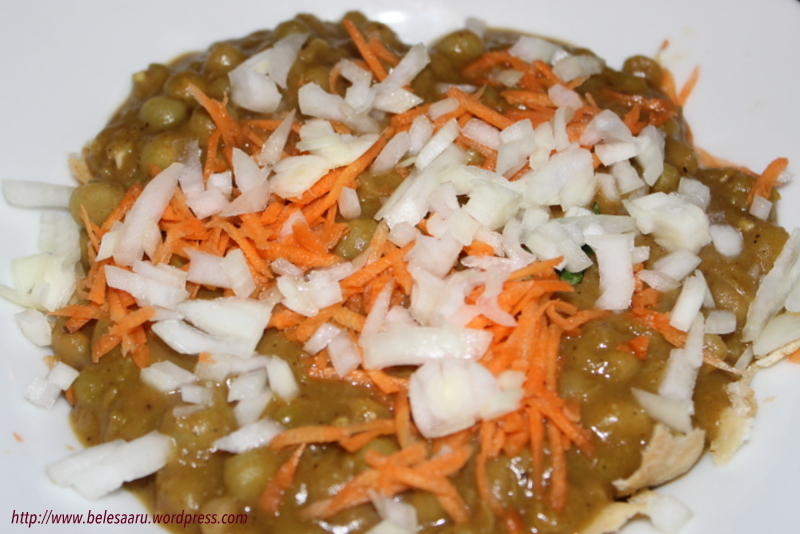 I like any kind of chaat!! This looks wonderful! Congrats on this new style blog! This is a delicious dish you prepared and homemade! This great snack looks delicious!